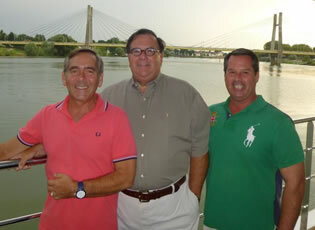 9-day all-gay adventure starting in Madrid during Pride; then sail the lush Douro River Valley with it’s enchanting towns and celebrated wines of Portugal. Reward your inner explorer with Portugal & the Douro River, an all gay adventure that blends captivating cities, picturesque villages and unparalleled scenic cruising through this less-traveled corner of Europe. Indulge your passion for food, history, and music as you discover the warmth of Portugal and Spain. Experience the “sunny side” of Europe, starting in radiant Madrid, then follow the Douro River through Spain and into Portugal. Feel the warm sun on your skin as you cruise past terraced hills, quaint villages and acres of ripe vineyards. From taking in a traditional flamenco show to visiting a local café to, of course, memorable local food and wine tastings, this all-gay Brand g cruise and tour gives you the very best of the region. Cruise through the UNESCO-designated Douro Valley, where grapes have been grown for 2,000 years. Visit picturesque quintas and meet the winemakers who run them. In Porto, where the Douro River meets the Atlantic Ocean, explore architectural wonders, shop the bustling Rua de Santa Catarina and sip the city’s storied port wines at its preeminent cellars. Travel overland through the countryside and stop in Coimbra, Portugal’s third-largest city and birthplace of six of the country’s kings. 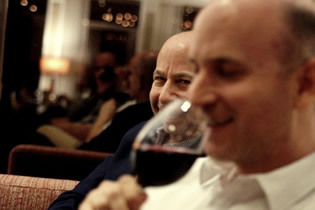 It’s the perfect combination of inspiring places and rich history in the comfort of an all-gay environment. 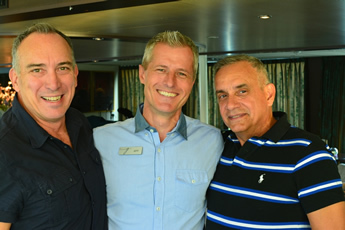 CroisiEurope is a family-owned company that has been in operation since 1976. As Europe’s largest and most experienced river cruise line, passengers will encounter warm hospitality, gourmet cuisine, comfortable accommodations, and a well-executed shore excursions. 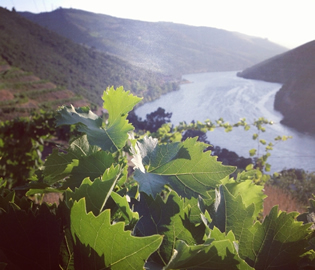 The MS Miguel Torga is at home in the beautiful Douro Valley, Portugal’s revered wine region. A ship designed specifically for serene river cruising, the panoramic windows and spacious sun deck of the Miguel Torga provide guests with a perfect platform to discover and be immersed in this idyllic region. It is spacious, and bright with a passenger capacity of 132 with 66 cabins. Once on board, you will find all of the amenities and comforts which distinguish CroisiEurope’s fleet, and the outstanding and friendly service which is the trademark of the staff and crew. 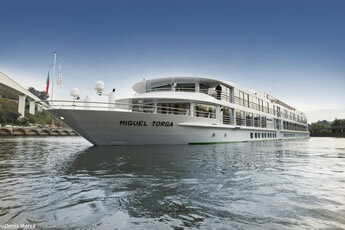 The MS Miguel Torga offers a lounge for your enjoyment and relaxation. Free Wi-Fi is available in the reception and lounge. The sun deck, with chaise lounges, offers panoramic views and a large 258 square foot pool. Welcome to Madrid! Our guides will meet you at the airport to assist with your transfer to the InterContinental Madrid Hotel or similar, conveniently located in the heart of Madrid. After settling in to the hotel make the most of the remainder of your day by exploring the city on your own and taking in the many festivities of Madrid Gay Pride. Your panoramic tour of this lively metropolis will take you to some of Madrid’s most famous sights. Then explore the massive Prado Museum, which features one of the world’s finest collections of European art. With nearly 7,600 paintings among its holdings, the Prado’s assemblage is truly stunning in both its depth and breadth. 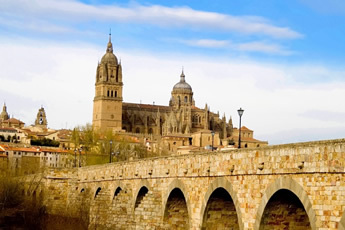 From Madrid travel overland to Salamanca, a UNESCO world Heritage city. The architectural purity of this charming town has endured through the centuries, during which time its sandstone buildings have acquired the exquisite glow that gives Salamanca its nickname, “The Golden City.” Walk under plateresque arches and past ornately decorated masonry walls as you explore the university. Then visit Salamanca’s extraordinary Old and New Cathedrals. 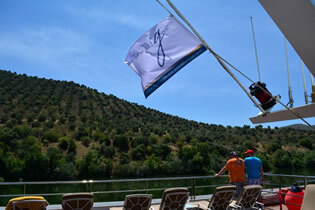 Continue on to Vega de Terrón on the Spanish border and board the Queen Isabel. The last Portuguese village along the Douro, Barca d'Alva is less than 2km from the Spanish border. Surrounded by mountains, and on a placid bend in the Rio Douro, it’s a curious spot – on one hand, there’s a long-abandoned railway line and a row of elderly cottages; on the other, there’s a sparkling quayside with huge pontoons to accommodate the large Douro cruisers which disgorge passengers for a souvenir hunt. Visit the 12th-century walled village of Castelo Rodrigo (one of the twelve historic villages of Portugal), with its medieval streets and stone- walled houses vantage point. Lamego, a small, picturesque town that is rich in history, invites you to explore its streets today. Lamego houses one of the most important pilgrimage sites in all of Portugal: the Sanctuary of Our Lady of Remedies. Sitting atop a hill, the sanctuary overlooks the town and can be reached by climbing its 686 steps. You’ll get to see it up close on today’s tour and have a chance to admire its gorgeous panels of blue and white tiles before enjoying another treat—a delicious wine tasting. 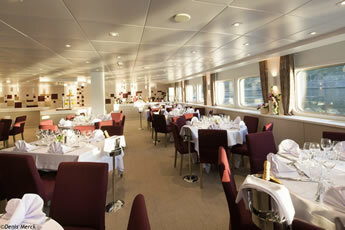 In the evening, enjoy a Gala Dinner onboard your ship. The Douro River winds through one hundred miles of granite mountains, carving out a valley whose steep slopes hold terraces that were cut by hand into the rocky soil and planted with grapes centuries ago. Visit the Douro Museum to learn about the river and its wines. See, too, Mateus Palace, which has one of the most beautiful gardens in the country. 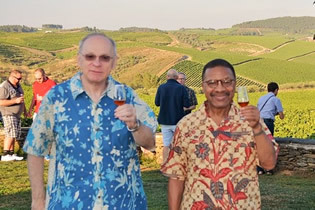 In the evening, you’ll tour the family-owned Quinta da Avessada, which produces premium Moscatel. After strolling the grounds and meeting the owner, you’ll partake in a rustic dinner featuring fine local wines and traditional live music. Today you’ll venture to the charming, old-world town of Amarante, which is situated between the bends in the Tamega River and the cliffs of the surrounding mountains. Many of its remaining historic structures are Romanesque in style, several of which you’ll see on your guided walking tour through this lovely riverside town. Birthplace of Henry the Navigator (who launched Portugal’s voyages of exploration) and longtime hub of the Port wine trade, Porto combines well- preserved historic buildings with cutting-edge architecture and a booming cultural revival. Your tour will take you to the 19th-century Palácio da Bolsa and then on to the cathedral and the bustling shopping street, Santa Catarina. After lunch, you’ll visit one of the city’s famed Port cellars. Morning disembarkation. 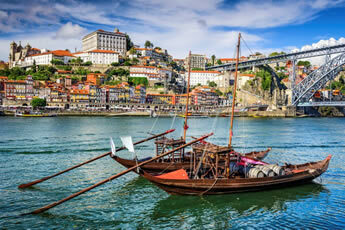 Transfer to Porto airport(OPO) or join the 2-night post cruise extension in Lisbon. Single - TBD ; Double - TBD, per person, breakfast included. • 2 nights hotel accommodation in InterContinental Madrid (or similar), with daily buffet breakfast and half-day guided city tour of Madrid including visits of the Royal Palace and the Prado Museum. • Hospitality desk at the hotel on arrival day. • Transfer from Madrid to ship in Vega de Terron, with stop in Salamanca. • Experience multiple Unesco World Heritage sites. • 6 nights deluxe cruise accommodation. • Life enriching tours and excursion. • State-of-the-art portable audio-headset system on all excursions. • Unlimited free-flowing beverages onboard, including fine wine, beer, spirits, coffee, tea, mineral water and soft drinks. • Wireless Internet in all public areas. • Welcome Dinner and Farewell Cocktail Party & Dinner. 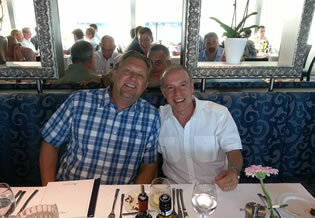 • Onboard special highlights including cultural performances, educational discussion forums, theme dinners and ship tour. • Transfer from ship to Porto airport. 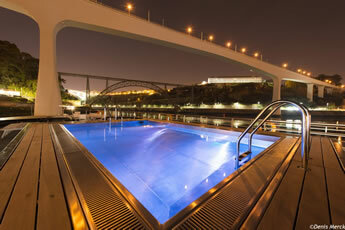 • Optional 2-night post cruise extension in Lisbon. For Spain and Portugal the currency is the Euro. Upper Deck. Spacious and comfortable cabin equipped with two beds, private balcony, bathroom with shower and bath products, telephone, satellite TV, safe, hairdryer, air-conditioning, radio and wardrobe with hangers. 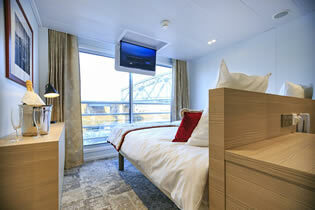 Located at the main deck it offers a panoramic view. 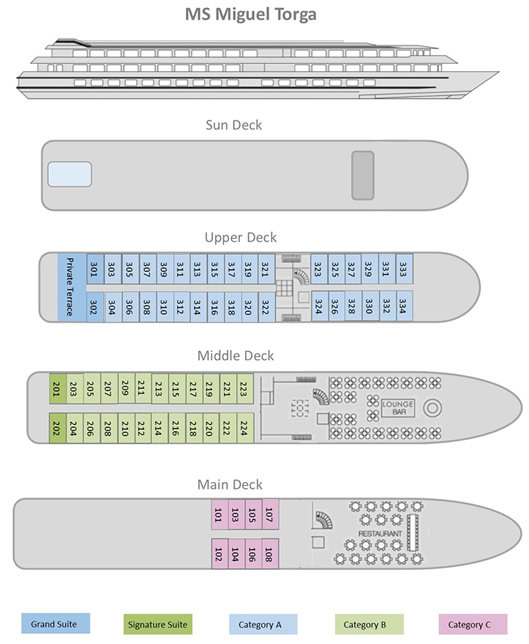 Middle Deck. Cabin equipped with two beds (with optional twin-bed configuration), private bathroom with shower and bath products, telephone, satellite TV, safe, hairdryer, air-conditioning, radio and wardrobe with hangers. Located at the middle deck. Upper Deck. Spacious and comfortable cabin equipped with two beds (with optional twin-bed configuration), private bathroom with shower and bath products, telephone, satellite TV, safe, hairdryer, air-conditioning, radio and wardrobe with hangers. Located at the upper deck it offers a panoramic view. Main Deck. Cabin equipped with two beds (with optional twin-bed configuration), private bathroom with shower and bath products, telephone, satellite TV, safe, hairdryer, air-conditioning, radio and wardrobe with hangers. Located at the main deck. Port fees of $199 and pre-paid gratuities of $175 are additional. Single Supplement for Cruise is $2,500 of twin price, limited to categories A, B, C.
Initial deposit is $850 per person, with final payment due by March 7, 2019.